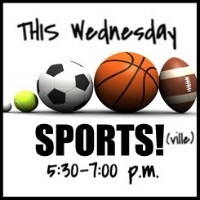 Sportsville is an outreach ministry within our church for kids in our community. For our first thirty minutes together, we have many engaging activities like dodgeball and kickball. On rainy (or cold) evenings, we play fun, indoor games! For the second thirty minutes, we teach age-appropriate Bible studies. We have a short study and class for preschool-aged children, a teaching time for elementary-aged kids, and then a gender-specific class for middle-and-high-school-aged students. We enjoy a full meal (usually a main, sides, drink, and dessert) and fellowship with one another at the end of our evenings together!